This is one of my favorite jackets for boys this Fall Winter season. 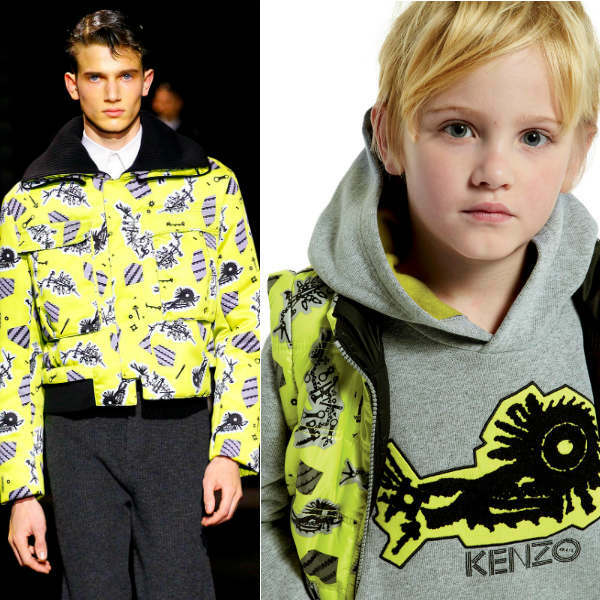 Kenzo Boys Mini Me Reversible Monsters Jacket is stylish and practical. Featuring the exclusive yellow and dark brown Monster print, the 2-in-1 puffer jacket and gilet is made in a smooth and thick padded polyester, with a front zip fastener and concealed hood. Best of all, the jacket is reversible with contrasting colors in black and yellow, with two zipped pockets. Better even yet is the 2 in 1 feature – the sleeves of the jacket can be unzipped, leaving a padded gilet in lime, with a mechanical print and two side pockets. 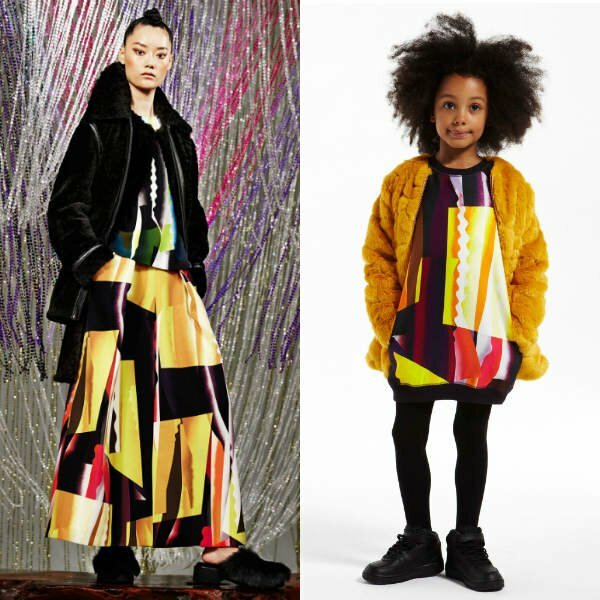 The Kenzo Girls Mini Me Lime Green Monster’s Jacket is taken directly from Kezno mens’s Fall Winter 2014 Fashion Show at Paris Fashion Week. 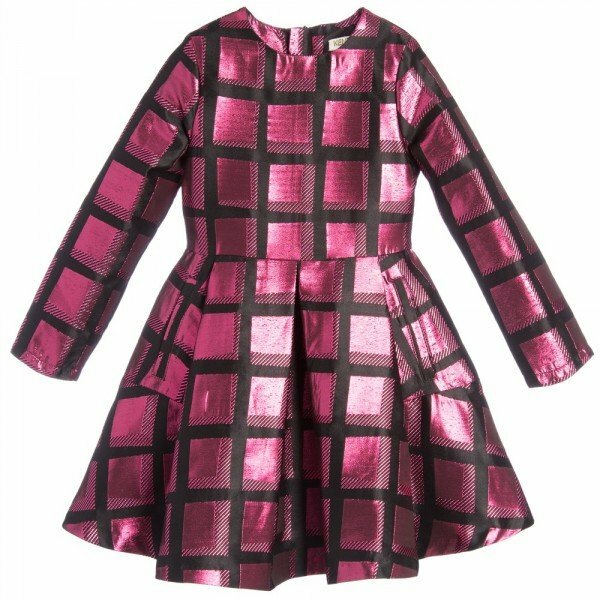 Kenzo designers Carol Lim and Humberto Leon were inspired for the Fall Winter 2014 collection by American television serial drama Twin Peaks Created by David Lynch and Mark Frost.